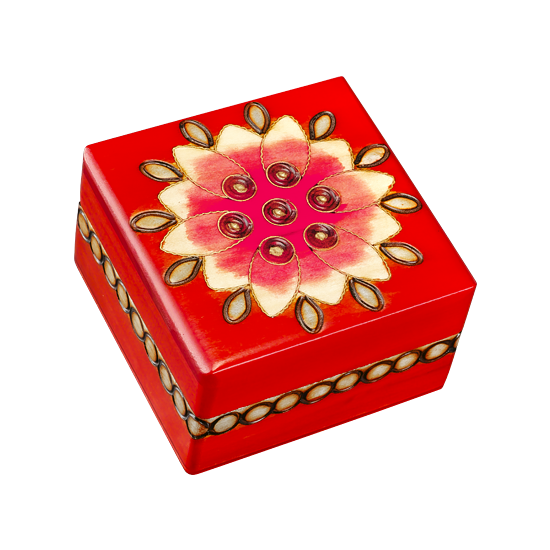 Small wooden box with geometrical floral shape, mixture of smooth and waved brass inlay. Color stain for this box is a saturated scarlet red, with subtle gradient from the center of the flower leading to raw varnish at tip of leaves. Side trim is decorated with circular infinity designs.